Born in London, ON, Eric Lindros played thirteen seasons with the Philadelphia Flyers, New York Rangers, Toronto Maple Leafs, and Dallas Stars. Considered one of the most dominant power forwards of all time! He has won the Memorial Cup, World Junior Championships twice & Olympic Gold Medal for Canada! In 2016, Eric was inducted into the Hockey Hall of Fame. He is also the recipient of both the Lester B. Pearson Award (NHLPA Most Outstanding Player) and the Hart Trophy (Most Valuable Player) in 1994-95. Eric is long-time supporter of Smilezone Foundation. In 2016, he received the Smilezone Ambassador award at the 4th Annual Smilezone Foundation Celebrity Golf Tournament. 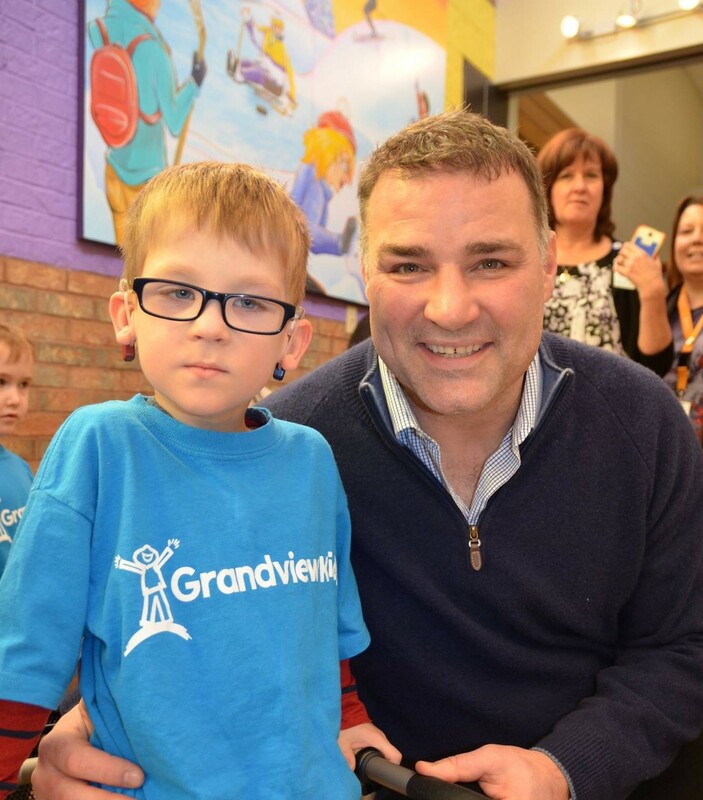 He also attended the Smilezone Grand Opening at Grandview Children’s Centre in Oshawa, ON, as an Oshawa Generals alumni.